Director of the International Studies major, and Co-Director of the Political Economy and Public Policy major at Muhlenberg College, USA. We recently caught up with Christopher to talk about his new book, China’s Peaceful Rise (Manchester University Press), which publishes this month (October 2016) in the UK and next month in the US (November 2016). Here is what Christopher had to tell us. It is difficult to point to a specific book. Rather I would point to the influence of the three works: Wendt’s Social Theory of International Politics, Nicholas Onuf’s article, ‘World of Our Making’ and Wang’s Never Forget National Humiliation: Historical Memory in Chinese Politics and Foreign Relations. 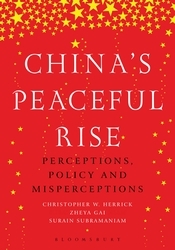 In the course of writing the book, I became more aware of the fact that the constructed identities of China and the states with which it interacts may cause both the leadership and the populations of those states to react in unexpected and potentially problematic ways to policy initiatives undertaken by China and the states that interact with China. I also came to a deeper appreciation of the utility of both realism and constructivism as analytical frameworks as well as the way in which constructivist analysis may be a useful lens for understanding the factors prompting states to act in ways that are contrary to the expectations of realism and or liberalism. 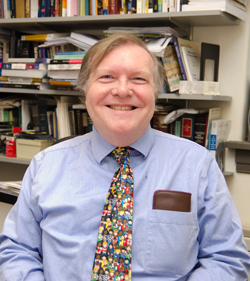 Discovering the ways in which the interactions of China with other states in bilateral and multilateral settings may be subject to significant misperceptions based upon both concrete economic and power factors and more amorphous identity factors involving culture and contradictory interpretations intent on the part of the initiating and targeted states. Making sure that we presented a balanced analysis of the manner in which China’s interactions with specific states, regions, and international institutions and as a model for governance may have both positive and negative impacts upon China’s potential for successfully achieving Peaceful Rise/Development. This is my second book. My first book was Issues in American Foreign Policy, published by Longman. As its title suggests, it was more issue oriented and did not attempt to explain American foreign policy in terms of perceptions and misperceptions or a constructivist point of view. I was excited about the possibility of providing an analysis of the constraints and policy interactions that have shaped the development of US policy toward a range of significant international issues to a wider undergraduate audience. I have subsequently been pleased that the issues that I identified continue to be ongoing issues in American foreign policy. The publishing world has been subject to frequent acquisitions and/or consolidation. The book was originally contracted with a publisher that subsequently sold its political science volumes to Manchester University Press. However, in many ways, for me, change of publishers was in a sense a homecoming. As an undergraduate majoring in government at Bates College, I spent my junior year studying abroad at the University of Manchester. The lengthy chapters on Africa and India may in part be traced to my studies with two Manchester University professors, William Tordoff and Dennis Austin, who sparked my secondary interests in in African and Indian politics. Unlike my previous book, I have drawn upon public opinion research as the basis for understanding popular and elite perceptions and misperceptions regarding issues presented in the book. Each of the chapters that I authored were the product of papers presented at one or more conferences. Consequently, I have to thank fellow panellists and discussants for helpful suggestions regarding content. In the course of writing this book, I became more fascinated with the issue of the South China Sea and the role that perceptions, misperceptions, and constructed identities are contributing to the difficulties in addressing the ongoing problem of conflicting claims to this area. This summer, I have been mentoring a promising undergraduate on research into the perspectives of the various claimant states. I will be presenting a paper at a regional political science conference this fall on this issue and the extent to which realism or constructivism may provide a better lens for understanding the ongoing problem of claims to the South China Sea.